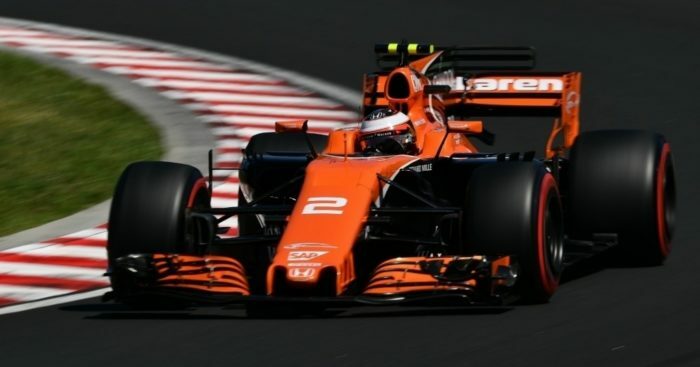 Stoffel Vandoorne believes McLaren-Honda have had a “very productive day” of testing in Hungary, despite the MCL32 breaking down…again. The Belgian topped the timesheets for much of the first day in Budapest until Ferrari’s Charles Leclerc dislodged him in the final five minutes of the afternoon session. Vandoorne’s running was limited to 72 laps, though, after the MCL32 suffered another breakdown just before the lunch break. But Vandoorne is not too concerned about the minor setback. “It’s actually been a very productive day for us, despite the stoppage,” Vandoorne said. “We’ve put some new things on the car to explore throughout the day and I feel they’ve been positive – we’ve definitely moved in the right direction as the day has progressed. “It’s good to see that when we bring new parts to the track, they respond and improve the performance of the car. “Obviously, this is testing, and it doesn’t mean a lot, but it does give us useful data that we can analyse and help our learning. 17-year-old Lando Norris will take over driving duties for McLaren on Wednesday.